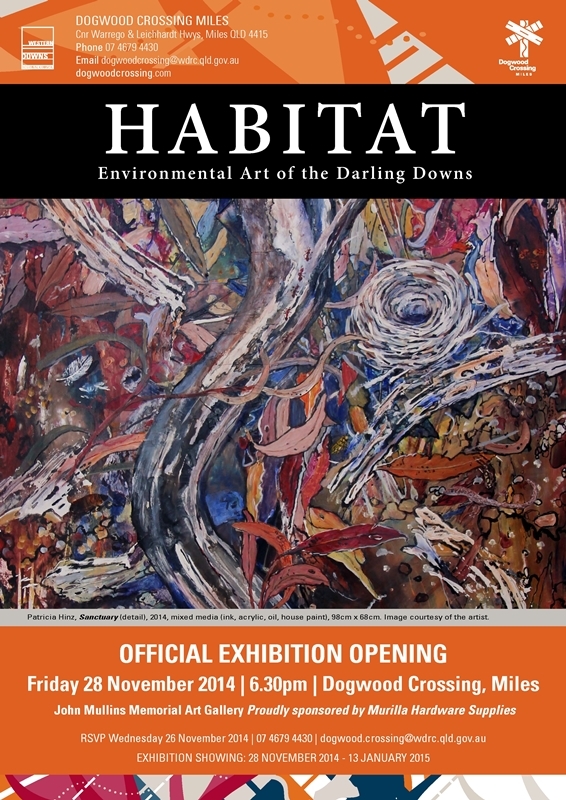 Habitat draws together the work of over thirty Australian artists and scientists who have responded to and studied the natural environment of the Darling Downs, South-East Queensland, from the late nineteenth century to the present day. From seminal artists such as Kenneth Macqueen and Sam Fullbrook to thinkers and makers engaging with the landscape today, this exhibition weaves the history of the area; celebrating the abundant natural assets while examining the process of continual change as a result of human interaction with the land. Egypt 1333bc THE ROYAL CITY OF AKHETATEN, the city of light nears completion. The sovereign rulers Akhetaten and Nefertiti have taken up residence in the new capital of the Egyptian Empire. Preparations are underway for the dedication of the city and the arrival of the Ships of Light. Following on from ReEvolution and Celestial, Trinity is a collection of newly discovered paintings, carvings and artefacts from the amarna period. 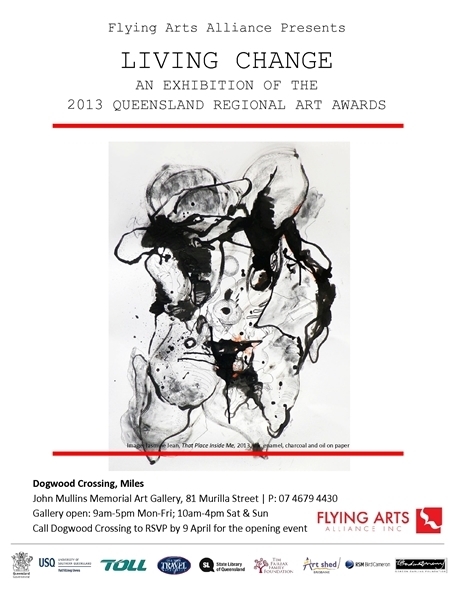 Husband and wife team Len and Joan Cooper present another exhibition in their Essence of Australia series. This exhibition of Joan’s paintings and Len’s warm glass art explores the changes in the Australian environment. 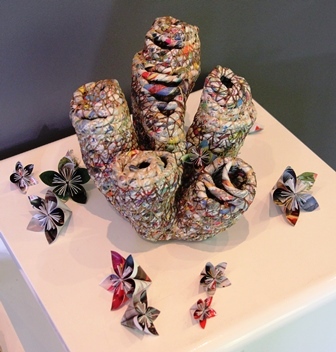 Celebrating the beauty of living trees and the leaf litter that lies beneath with works made from reused and recycled commercial papers. The works in this exhibition are all derived from reused commercial paper which has been manipulated iinto forms inspired by the papers’ origins as trees in natural forests or plantations. I see these works as being celebratory of the beauty of living forests and in particular the often overlooked intricacies of the forest floor. 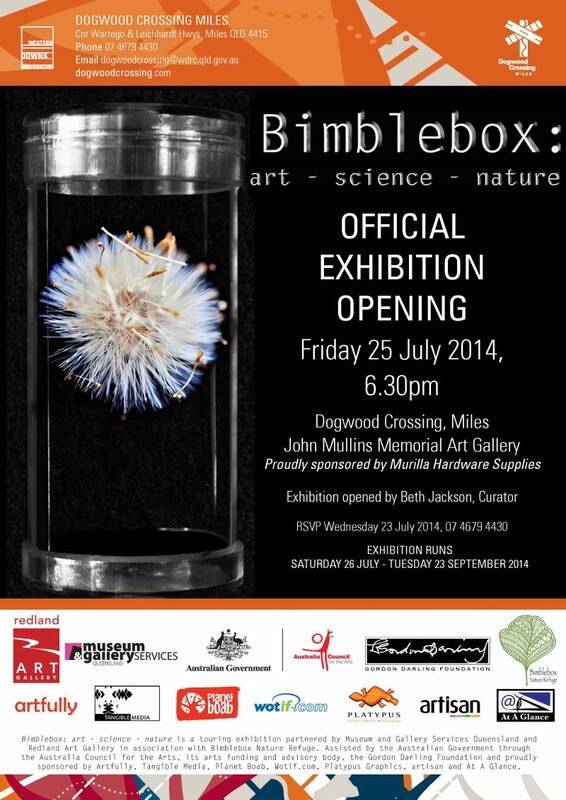 Bimblebox: art – science – nature is a touring exhibition about the Bimblebox Nature Refuge, its environmental, social and scientific significance and an artist group’s creative response to their experience of this unique and threatened environment. The exhibition is rich, dynamic and diverse, including artworks in installation, works on paper, painting, artist books, photography, digital media and sound. Curated by Beth Jackson from a project initiated by artist Jill Sampson, the exhibition also incorporates aspects of scientific and environmental research and social history of the site, together with catalogue and education kit in digital and print media. art – science – nature may help to save this nature refuge from destruction or it will provide lasting testimony. The monochromatic forms in this exhibition seek to refocus the viewers attention onto the ongoing issue of environmental exploitation and destruction. The simplicity of the forms and the reductive nature of the work reflects the influence of early German Expressionism, the primary reference being that of Kirchner. 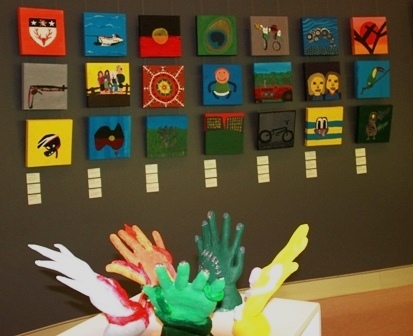 An exhibition of recent work by the senior art students from Miles State High School. 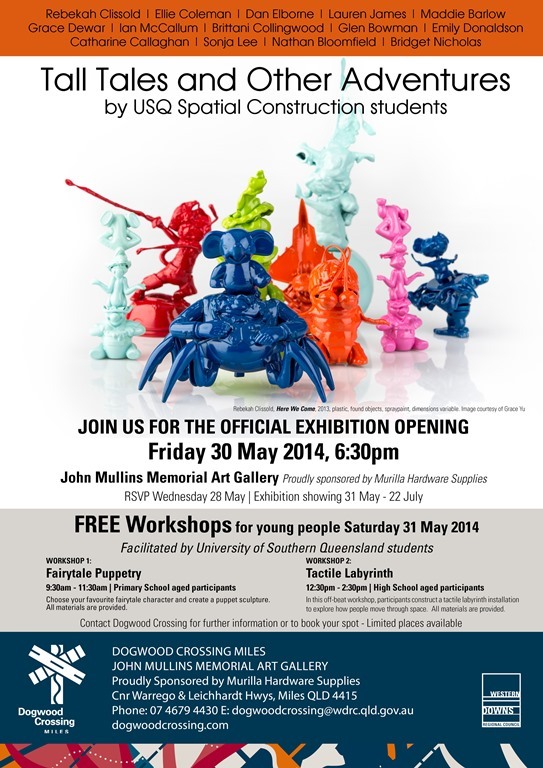 Tall Tales and Other Adventures is exhibiting in a series of three different galleries across Southern Queensland; in Miles, Toowoomba and Brisbane. 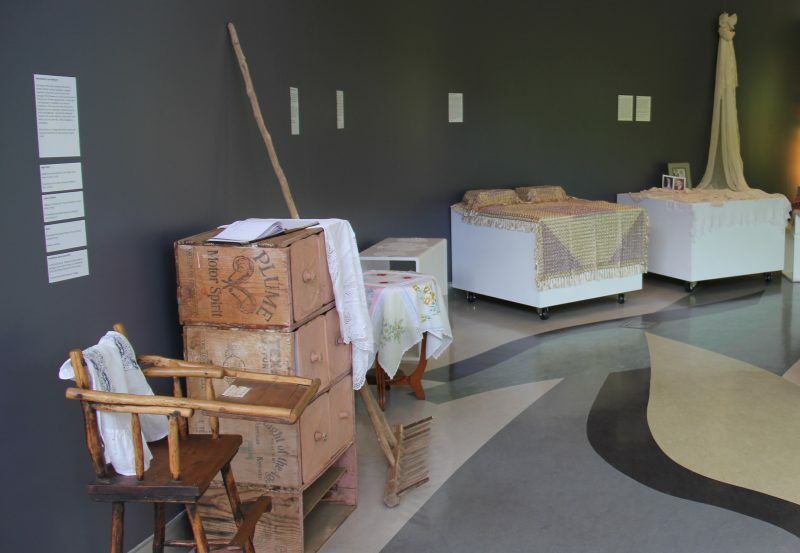 It showcases works from past and present USQ Creative Arts students that explore personal, social and aesthetic tales in 3D art. Tall stories, fictional worlds and fantastical fabrications are interwoven with everyday experiences. These experiences are enriched through an exploration of diverse media and methods of presentation. The exhibition explores how artists use space to navigate diverse audiences in order to tell their unique story. Tall Tales and Other Adventures is a research partnered project with Dogwood Crossing, Miles, USQ Artworx and Flying Arts Alliance. 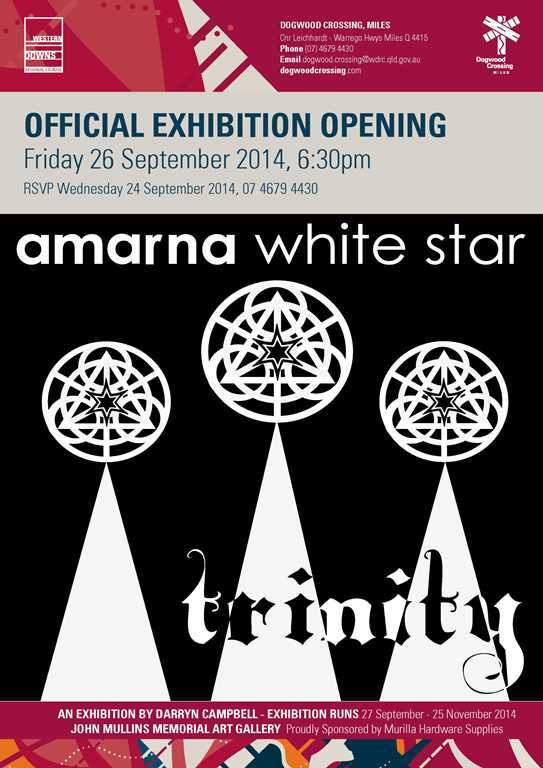 Living Change is the 2014 touring exhibition selected from the entries to the 2013 Queensland Regional Art Awards. It features 33 high quality artworks created by talented established and emerging artists living in regional and remote Queensland. The exhibition is an exciting collection of two and three dimensional artworks curated by independent writer and curator Tim Morrell (former curator of Australian Art QAG). Participating artists were asked to respond to the theme of ‘Living Change’ drawing upon their personal stories and experiences and their reflections on the changing lives, communities and/or environments that surround them. John Elliott has travelled much of Australia, documenting iconic Australians and everyday life through the lens. His photographs are held in the collections of numerous regional galleries, the National Portrait Gallery and the Parliament House Art Collection. Framed by a keen interest in people and their stories, Elliott’s photographs tell a rich contemporary narrative of our land and those who inhabit it. This exhibition, assembled from Elliott’s private collection, draws together previously unseen portrait and landscape photographs captured in Western Queensland over fifteen years. The artist collective, Six Artists From Out of Nowhere, put the viewer firmly in the driver’s seat taking them on a journey that shares glimpses of their experience of the Warrego Highway and its affects on their daily lives. 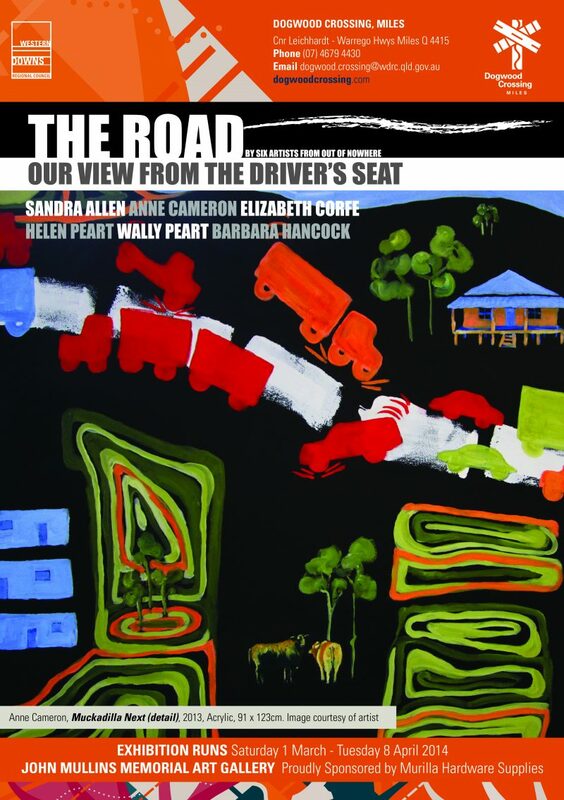 Through bold paintings and striking sculpture the artists present their observations of the Warrego Highway’s use and abuse as the major arterial road connecting the South East corner of Queensland to Central Queensland, Western Queensland and beyond to the Northern Territory. Curved Wall | Is My Faith Worth More To You? IS MY FAITH WORTH MORE TO YOU? 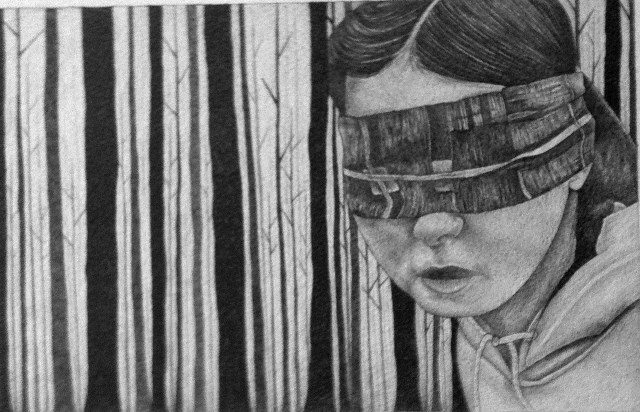 This exhibition of drawings and three – dimensional works on paper by emerging artist Corrina McLaughlin is a highly personal exploration of belief and what it means to have faith within today’s society. 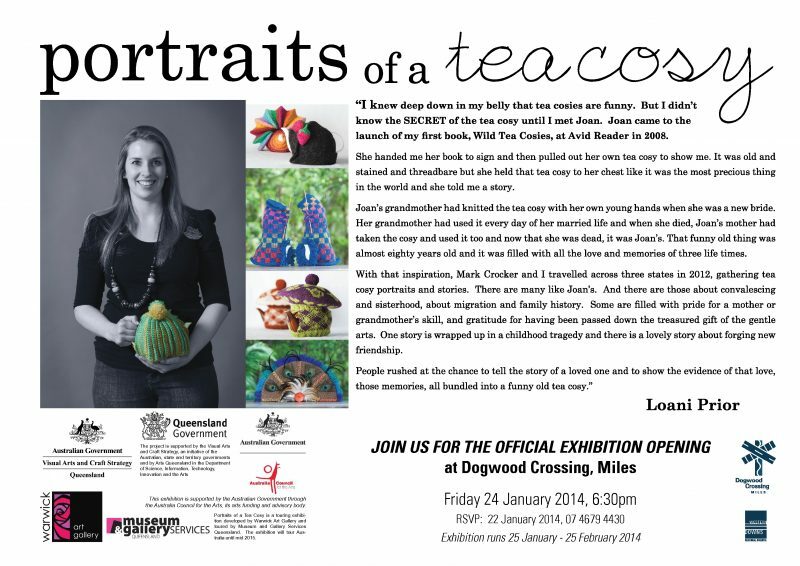 An exhibition that celebrates stories about the humble, but often quirky tea cosy by renowned textile artist Loani Prior and photographer Mark Crocker. Inspired by the revival of the ‘handmade’, Portraits of a Tea Cosy brings together social history, craft, photography and sculpture using the humble tea cosy as a vessel to evoke nostalgic memories and deep familial love. Portraits of a Tea Cosy consists of photographs, audio stories and knitted objects d’art created by Loani that were inspired during a series of story gatherings and workshops held during 2012. This exhibition explores stories of family and friendship and the unselfconscious joy of owning something quirky. An exhibition showcasing the handmade objects of domesticity and their associated stories from people and places across the region.